This really isn’t a new topic. This debate started in the early 1910s, when there was a progressive liberal democrat president, senate and house. This is when progressives, under the so-called “father of progressives”, passed the Federal Reserve Act and the IRS Act, which are two government notions that created long lasting disaster in our economic system. When we talk about “cronyism”, or “government accountability”, it is important to realize that the central banks essentially control every aspect of American politics. When there is a country-wide “stimulus”, the banks get their cut first. When you look at Barack Obama’s top contributor in 2008, it was Goldman Sachs. But Goldman Sachs buy’s both sides, now we have a former lifelong democrat, running as a republican, and is a real estate tycoon (IE, Donald Trump), who admits to partaking in government cronyism, but at least he is admitting that it is wrong, and that it needs to change. Out of all things, it’s good to have a light shined on the political cycle in the USA. It’s bought and sold by billionaire’s and special interests. That is not “free market capitalism”, that is “crony capitalism”. This is no better than socialism, where as in socialism, you either participate or suffer the consequences. I all to often hear about how conservatives are the fascists, because of “x, y and z” (fill in the blanks).. Then the conversation often gets closer to the root of the issue, and they accuse capitalism as being responsible for fascism and cronyism. Not always, but I often then get to hear the virtues of Socialism. Which in one fashion or another, I supported (socialism/Marxism) when I supported Ralph Nader. Because I honestly think that a good portion of his platform has a lot to do with socialism, and in turn fascism. I mean get this, answer to yourself this question; When has a socialist nation not become or started out as being fascist? Think about it. Im not talking necessarily about these socialist/capitalist hybrids, even though they are interesting for sure. But I am mainly just talking about societies who deeply aligned with the teachings of Karl Marx (whether they knew it or not), and what was the outcome, did it at any time become fascist? 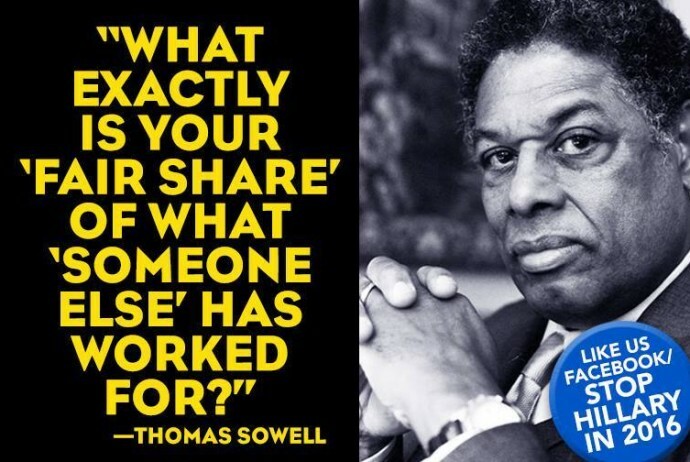 It always does, because it requires 100% participation to work at the expected results, which is a happier and better maintained society than capitalism can provide. So fascism always creeps in, and usually very quickly. Even with the Social Security laws in the USA. You either subscribe to their insurance, or get hit with tax evasion and go to prison. Fascism has crept into the USA via the medium of socialism, cronyism came in through the same door, back in 1913. I have to admit, that anyone that doesn’t at very least support a FULL audit of the federal reserve, is suspect as not being for our best interests. Because as I said, cronyism is much like socialism as to the level of fascism, and we pretty much all agree that we do not want fascism. Does minimum wage accomplish the desired results? I have used some commentaries by two top economists, Dr. Thomas Sowell and Dr. Walter E. Williams. I also quote Bernie Sanders, as this movement appears to be growing, and he..
Why Socialism is Too Dangerous – Bernie Sanders is a lot like the National Socialists. Food Stamps vs. Bankruptcy, what is better for society?